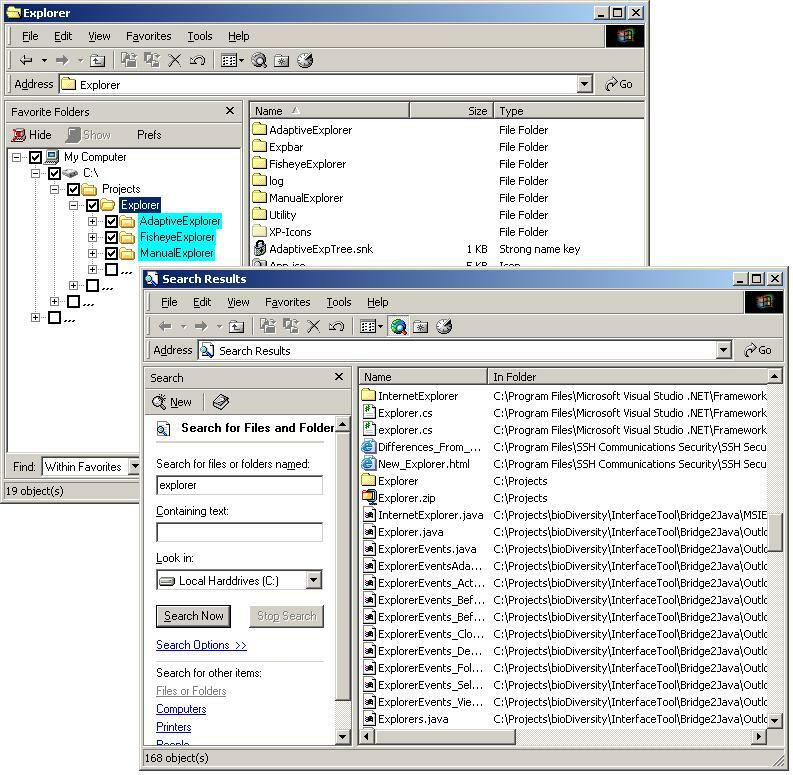 Microsoft Windows Explorer, the standard file browser in a windows environment, shows almost all directories in the file system. However, most users usually access only a subset of the directories in their machine. 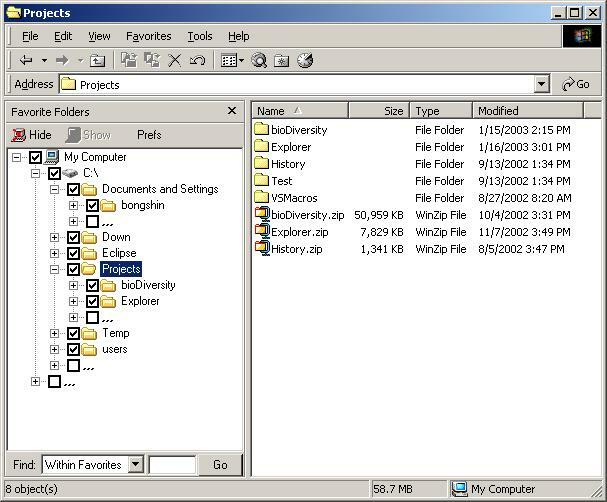 If the file browser shows only the directories users are interested in, they can select the directory they want more easily and quickly. 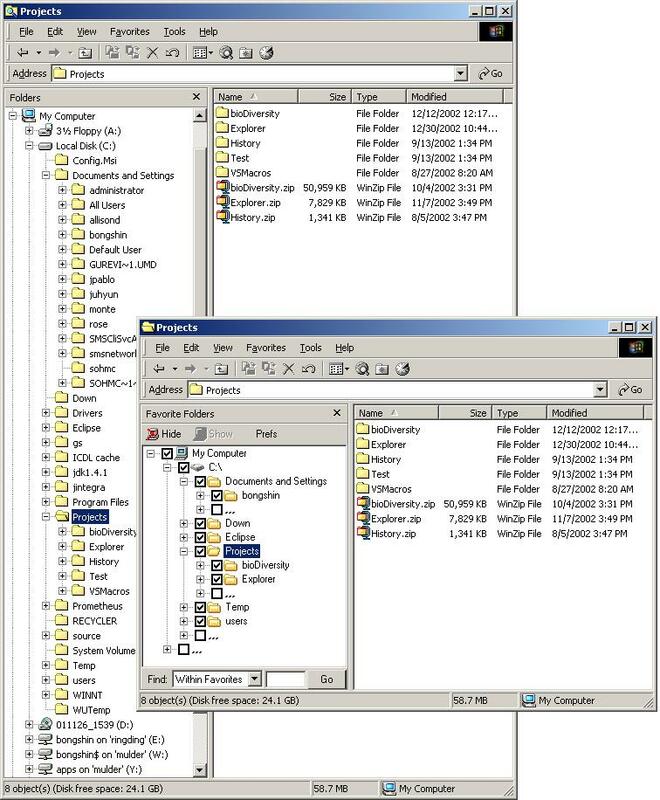 Favorite Folders, a configurable, scalable windows file system explorer, provides only the favorite folders, the directories that users may want to see, to reduce directory selection time. Hidden folders are one click away. We present three strategies to choose the favorite folders: (1) adaptive, (2) auto-close, and (3) manual. Bongshin Lee and Benjamin B. Bederson (2003) Favorite Folders: A Configurable, Scalable File Browser, Tech Report HCIL-2003-12, CS-TR-4468, UMIACS-TR-2003-38, Computer Science Department, University of Maryland, College Park, MD.